Overall, at 3 out of 5 stars, Walgreens Super Probiotic is a slightly above average probiotic. 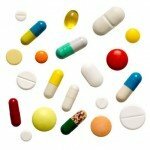 You only have to take 1 capsule daily (easy to remember). The capsules also come in a convenient blister pack. This probiotic doesn’t need to be refrigerated, so it makes it a lot more stable. I also really like that this product is safe for kids 12 years of age and older. They can take 1 capsule daily or if they have trouble swallowing capsules, pour the capsule contents into a cold drink. Just make sure that you don’t mix it with warm or hot liquids or food. I like it when companies can guarantee it all the way until the expiration date. I also had some side effects while taking this probiotic, but it did go away after a few days. Overall, Super Probiotic Digestive Support is a slightly above average probiotic and is safe for kids 12 and older, convenient and stable but it may cause side effects and doesn’t guarantee the cells for the entire time. Walgreens Super Probiotic Digestive Support has 20 billion cells per capsule and they come in 2 different probiotic strains. I really like the use of the first strain, Lactobacillus acidophilus, which is a solid probiotic strain and has been tested quite thoroughly. 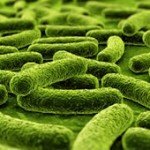 Lactobacillus acidophilus has been researched to potentially help with gas, bloating, and constipation. This strain helps with overall digestive function and may help lessen the severity of Irritable Bowel Syndrome (IBS). Lactobacillus acidophilus has also been used to potentially help Crohn’s disease, yeast infections, and lactose intolerance. I also like the second strain used, Bifidobacterium lactis. This strain has been researched to show possible boosts in immune function, reduce high cholesterol levels, and lessen ulcerative colitis symptoms. Bifidobacterium lactis may also be able to help with celiac disease. This probiotic doesn’t seem to have any major allergy concerns. The capsules are lactose free, soy free, and gluten free. The other ingredients in this probiotic are: cellulose, silicon dioxide, magnesium stearate (vegetable source), and titanium dioxide. 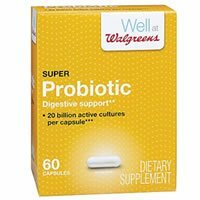 Walgreens Super Probiotic costs $20.99 for 60 capsules. This ends up being $0.69 a day to take these. That’s an average price for a probiotic, nothing too crazy. I think that it’s a good value for the price. 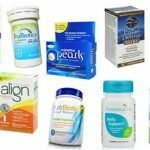 I did see some side effects the first few days of taking Walgreens Super Probiotic. I had some minor stomach pain. After a few days the pain went away and I was good to go. Keep this in mind if you have a sensitive stomach and ease into the product. Walgreens offers a fantastic 100% satisfaction guarantee on all of their Walgreens brand products. If you’re ever unsatisfied with the product, just return the unused product and they will give you a full refund, plus any shipping that you paid for. This is a great guarantee, props to Walgreens. 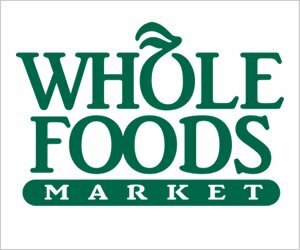 To buy Walgreens Super Probiotic, click here.